Elite Tow & Transport Inc. was established in 1992 and for over 20 years has been considered one of the leading tow truck companies on Long Island. One thing that makes us stand out over other tow truck companies is the fact that we have one of the largest fleets of towing and recovery equipment on Long Island. Because of this, we are able to respond quickly to your calls and provide expert light and heavy duty towing as well as all emergency roadside services. Our company has the reputation of giving “white glove” car towing services. Elite Towing & Transport, has won many roadside assistance awards including American Towman Award ACE for their exceptional customer service; something that only 1% of all tow companies in the United States are nominated for yearly! Also, we are fully licensed and insured. 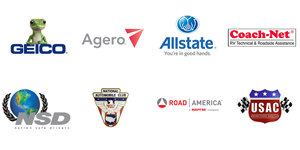 We are associated with many different motor clubs and insurance companies such as Geico, Cross Country (Agero), Allstate, Road America, Coach Net, Nation Safe Drivers, and USAC. We can work with your insurance company to make sure you get towed to your desired location! Whether you need local or long distance towing, help to recover your vehicle after an accident or even if you need roadside assistance such as replacement batteries, jump start, fuel delivery or lockout services, Elite Towing & Transport on Long Island is the right choice. We are open 24 hours a day, seven days a week! Don’t hesitate to call us first! We are conveniently located in Suffolk County and service all areas of Long Island!